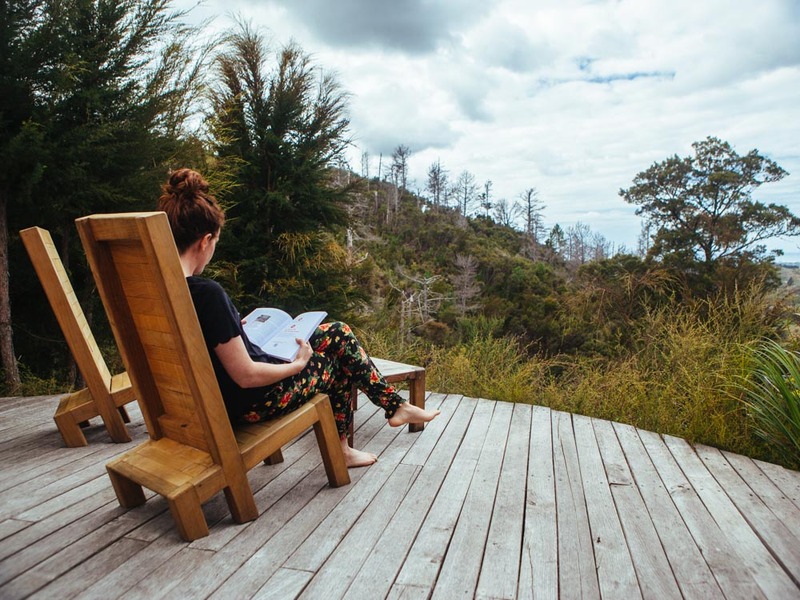 High in the hills of Motueka, just a short drive from the magnificent Abel Tasman National Park is an idyllic little eco-village, home to a community of people who have made the wilderness their home. We went to visit for a night, staying in a yurt that one of the families rents out. It was a trip back to nature where we got a taste of their natural lifestyle. 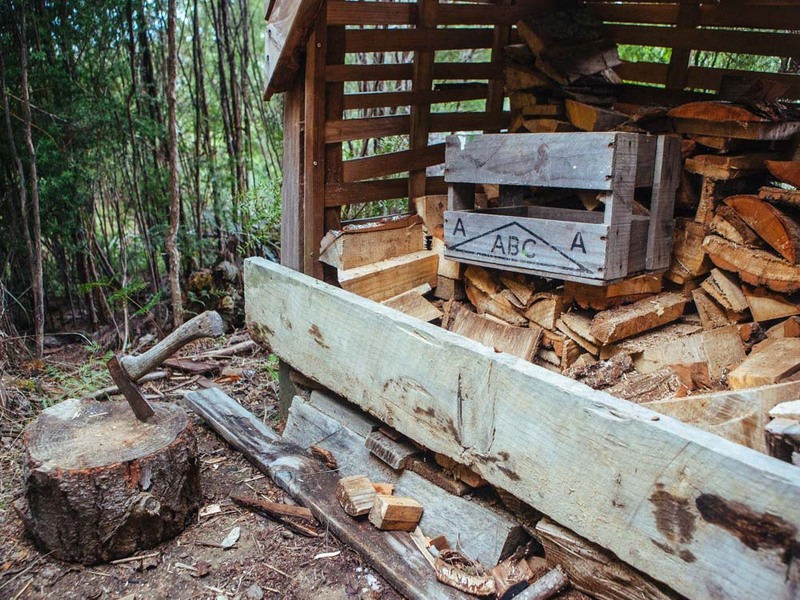 The Dutch family who were our hosts at Te Manawa Eco Village moved there in 2007, and in the subsequent years have built yurts and adopted a largely Paleo lifestyle. They live in yurts themselves, grow their own veggies, keep chickens, make compost, and generally live off the land. 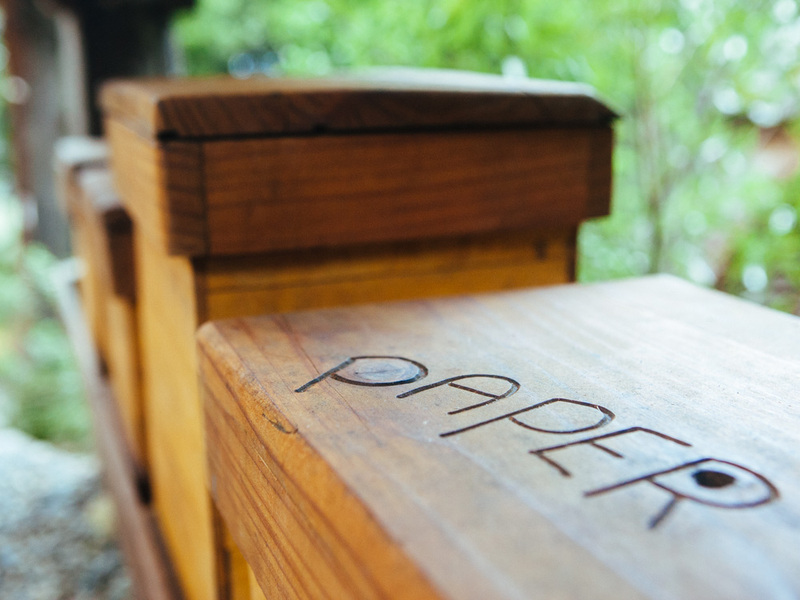 Their latest venture is inviting guests to share in their lifestyle and that’s how we came to visit. 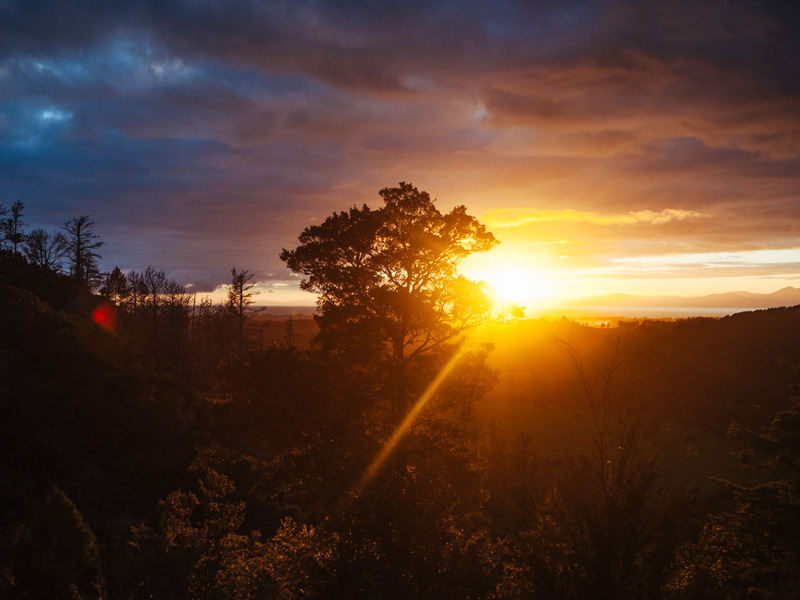 We knew we were heading somewhere special when we started the drive up to Te Manawa through the beautiful Motueka River Valley. Access to the yurt is up a winding unsealed road, taking you deeper into what is already a wild area of native bush. 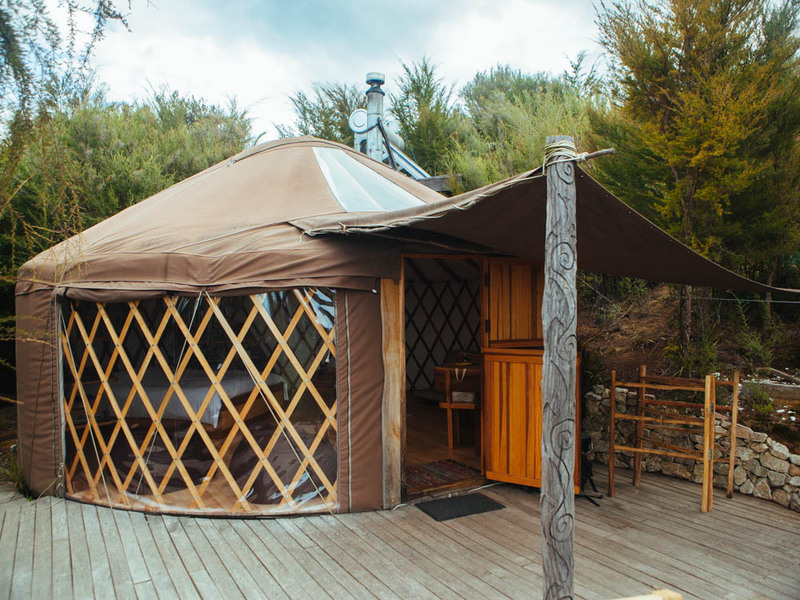 The yurt itself overlooks the valley, with sweeping views to the sea beyond. It’s perfectly situated for sunrise, which we woke up to the following day. The paleo lifestyle involves rising and sleeping in time with the sun and we enjoyed the natural flow. 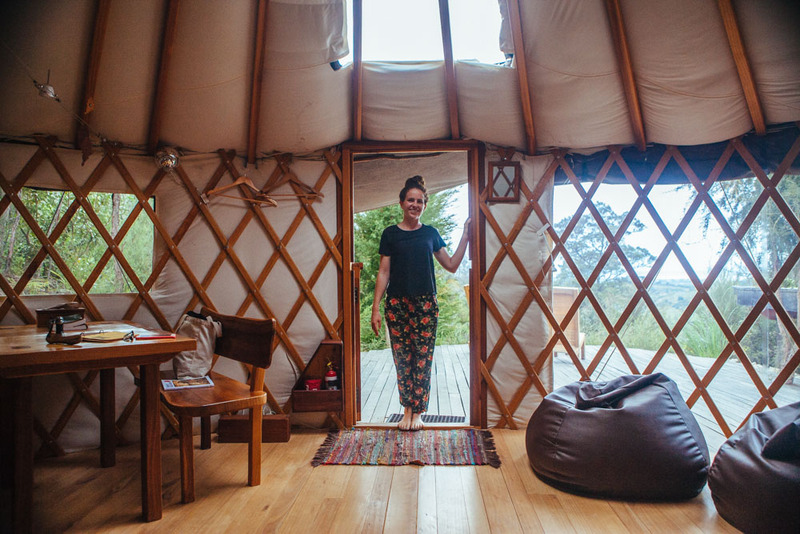 The yurt is a triumph of cosiness and, while we were there, I started to harbour dreams of living in one. 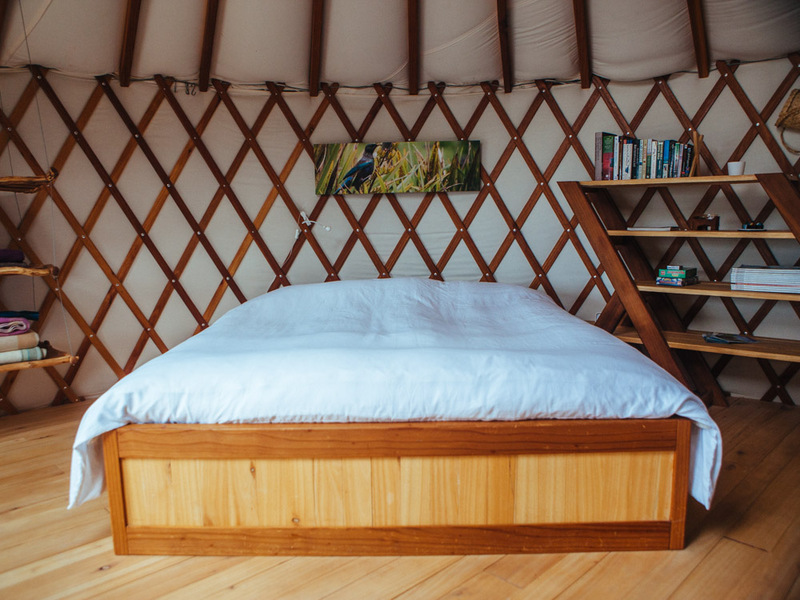 There’s something wonderfully calming about the circular shape alongside the natural wood of the yurt. It was tastefully decorated in neutral tones, and there was a large window looking out to the view, perfect for sun gazing in the morning. 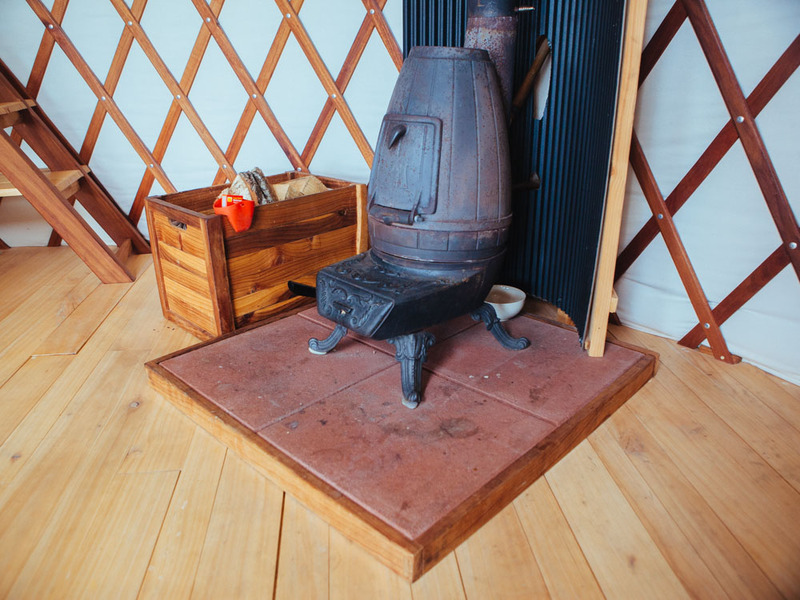 In the evening, we could turn on the wood stove, which heated the yurt to a warm glow. The family have also built a little guest kitchen where we cooked our meals. 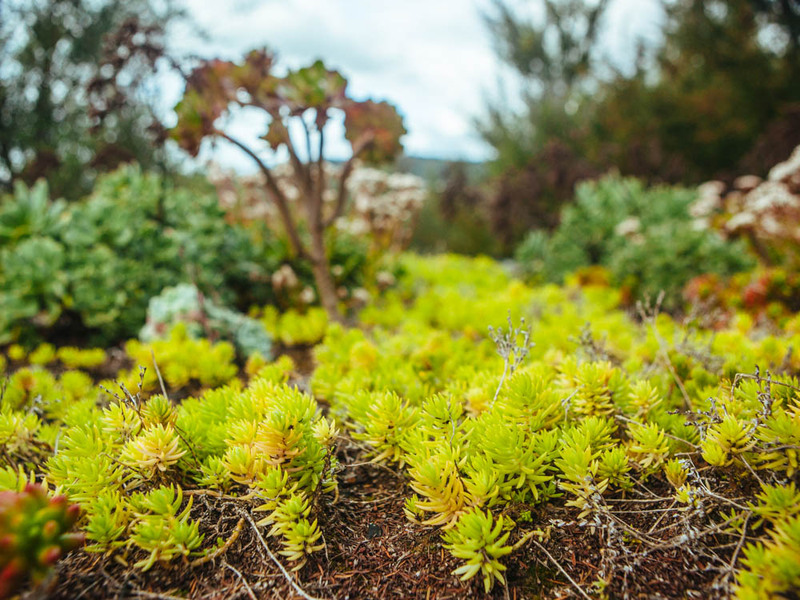 I especially loved the kitchen’s living roof. 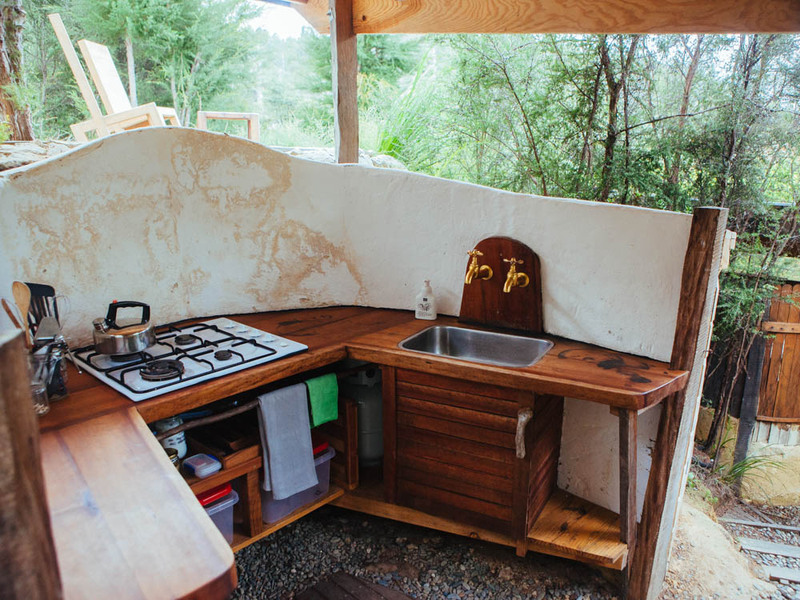 And perhaps the jewel in the yurt’s crown is the outdoor bath that also overlooks the valley. 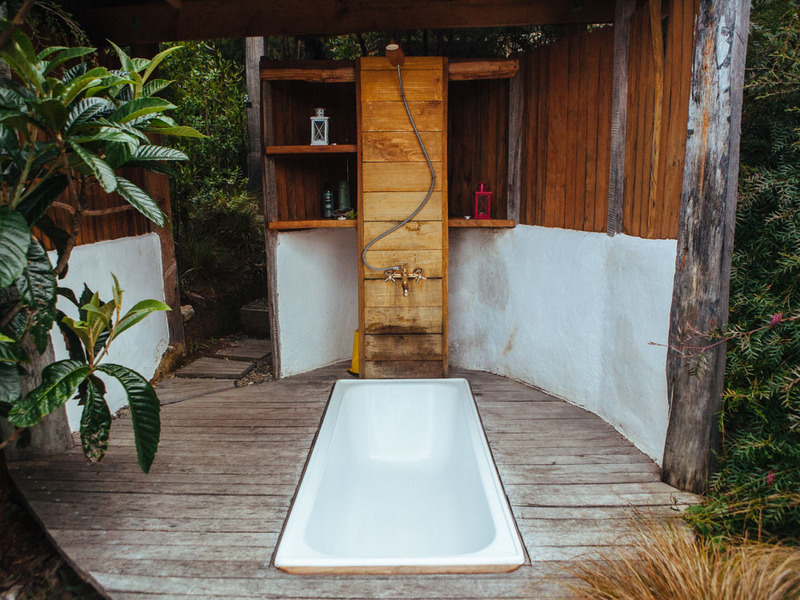 The wood burner warms the water so you can enjoy a luxurious natural bath, surrounded by glorious nature. 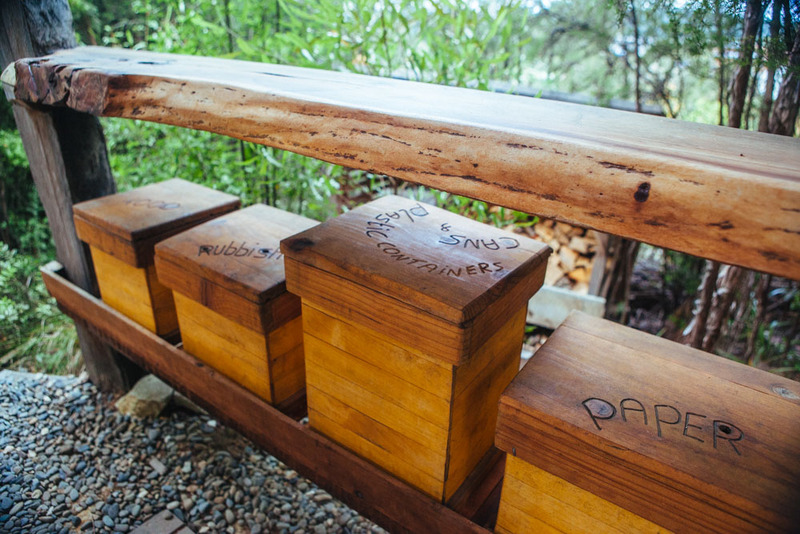 In the morning, after waking to the sunrise, the owners provided a freshly cooked paleo breakfast, including coconut pancakes, seasonal berries, egg, cream, fruit and honey. It was a delicious way to start the day. 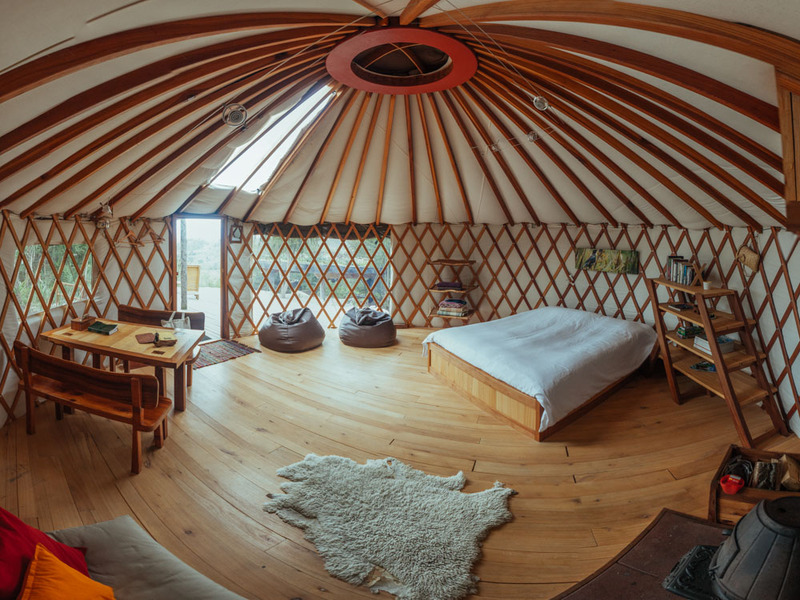 I could have happily stayed in the yurt for a week. 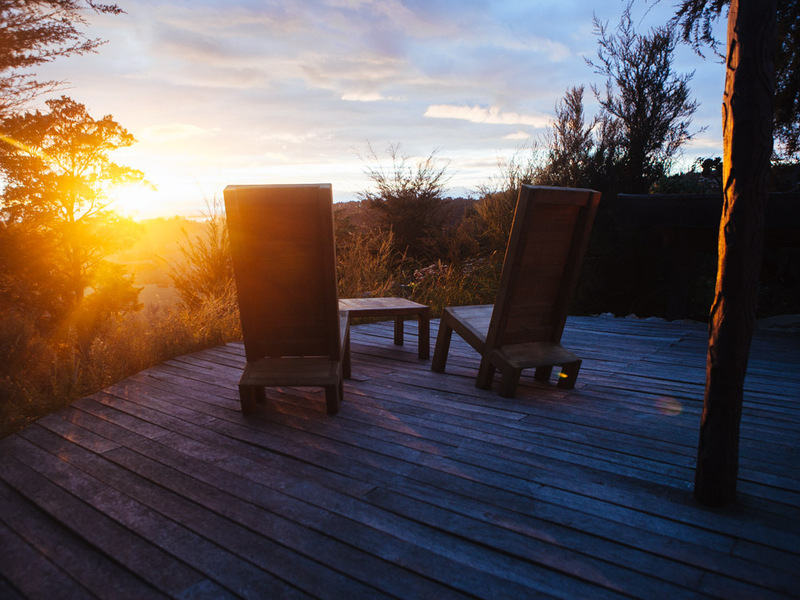 We were already on a dream trip, bathed in natural wonders, but our stay at the yurt in Motueka was a highlight of our time in New Zealand. 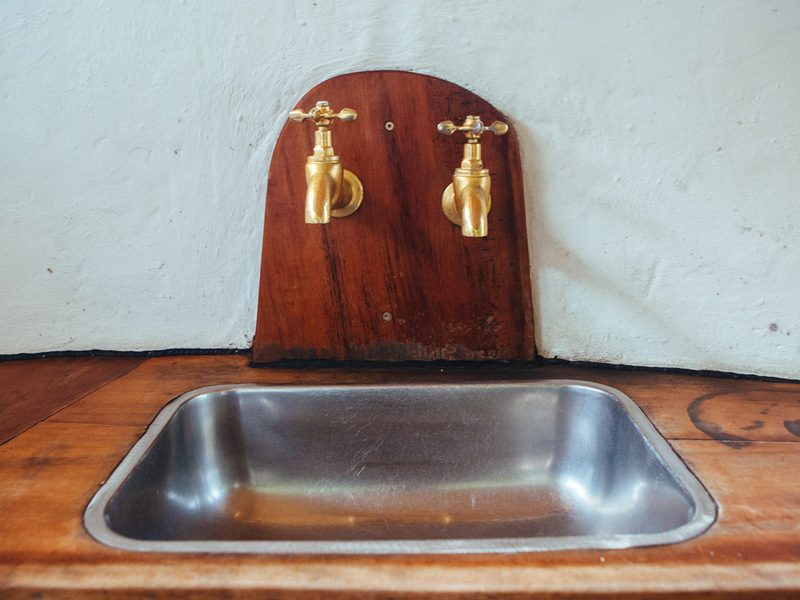 One of my favourite things about finding these special stays is the stories behind them, the hosts we get to meet, and the lifestyles we get to experience, and this was one to remember. 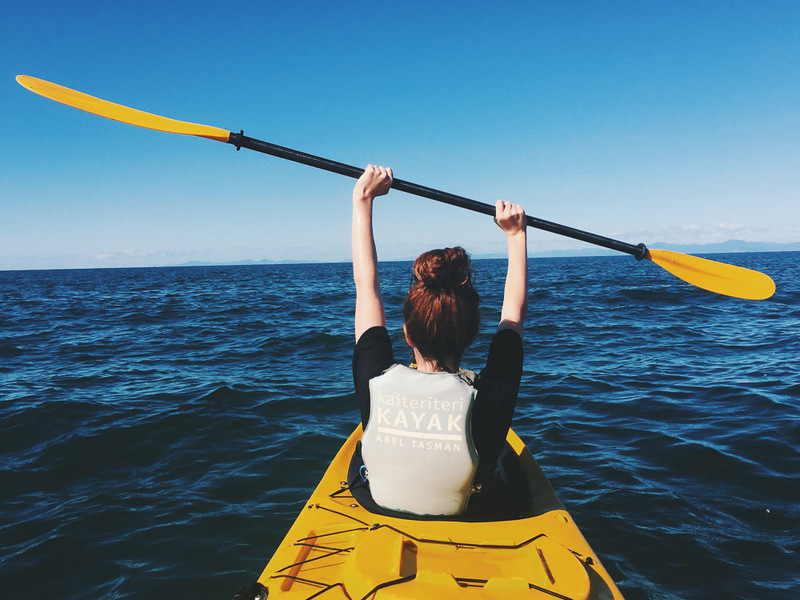 While in the area, we visited Abel Tasman National Park where we did a full-day tour, including a half-day hike and half a day kayaking. 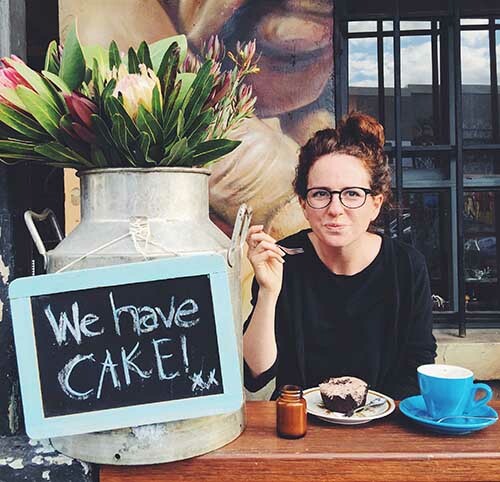 For more information, have a look at our detailed one-month New Zealand itinerary. Steve also did a skydive, just a 20 minute drive from the yurt. 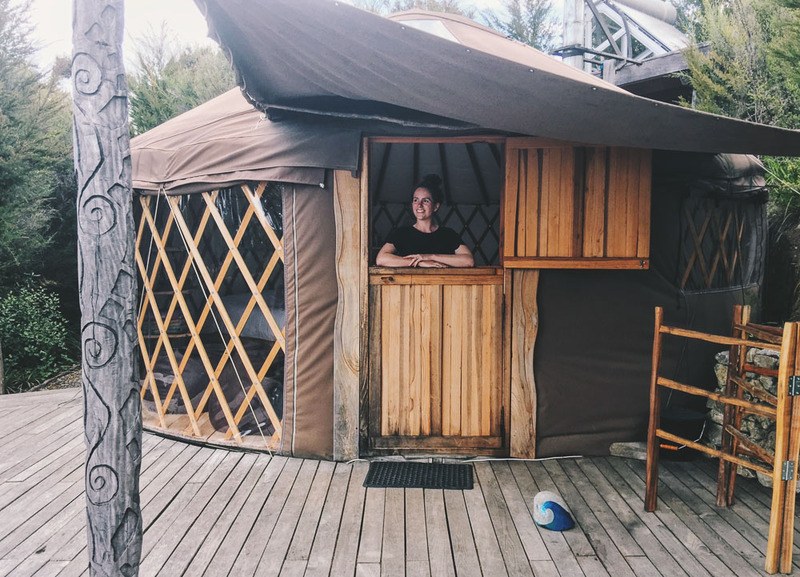 We stayed at the yurt as guests of Glamping Hub, but all opinions and effusiveness are entirely my own. Oh my goodness this looks like an absolutely amazing trip! 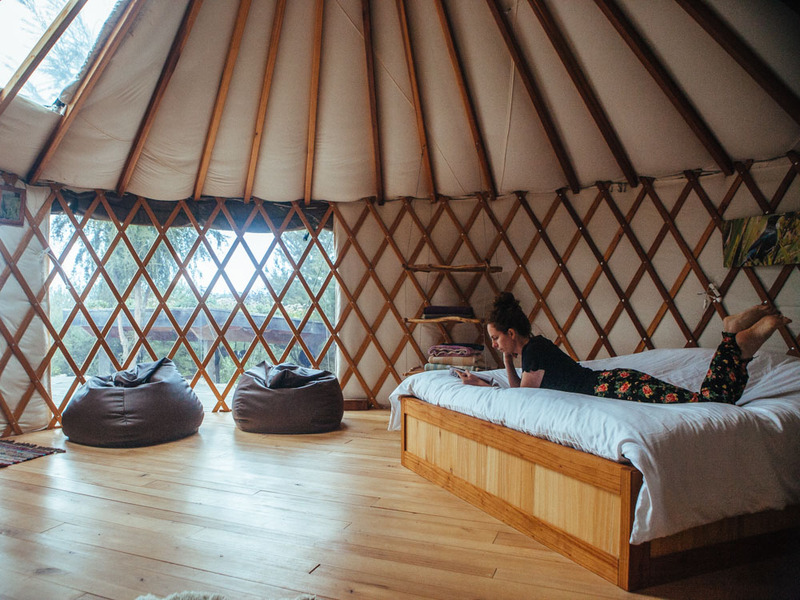 I have always wanted to try out a yurt and could there be a more gorgeous place to try it. 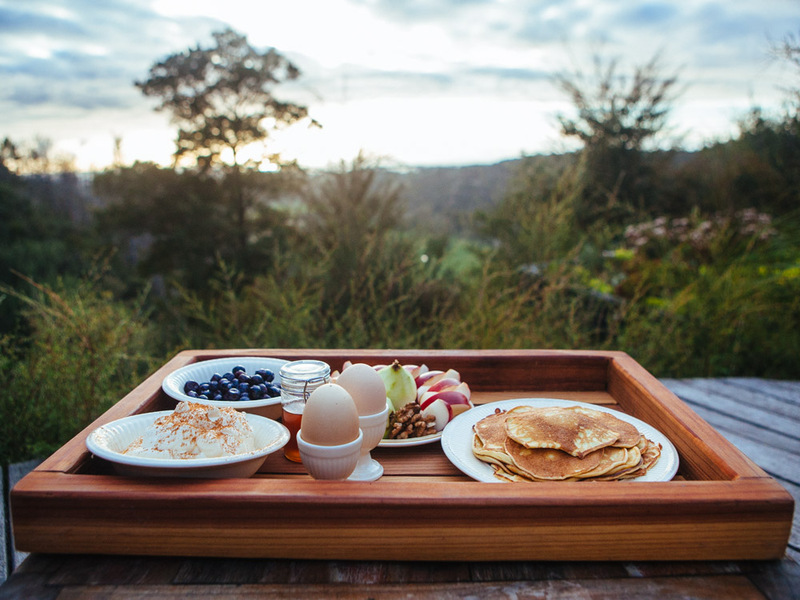 That breakfast looks amazing, there’s a large chance I would never want to leave. Especially when I got in the outdoor bath with the view and a good book. Your photos are beautiful, you definitely made the place look like a dream. Yeah, wow, Victoria. 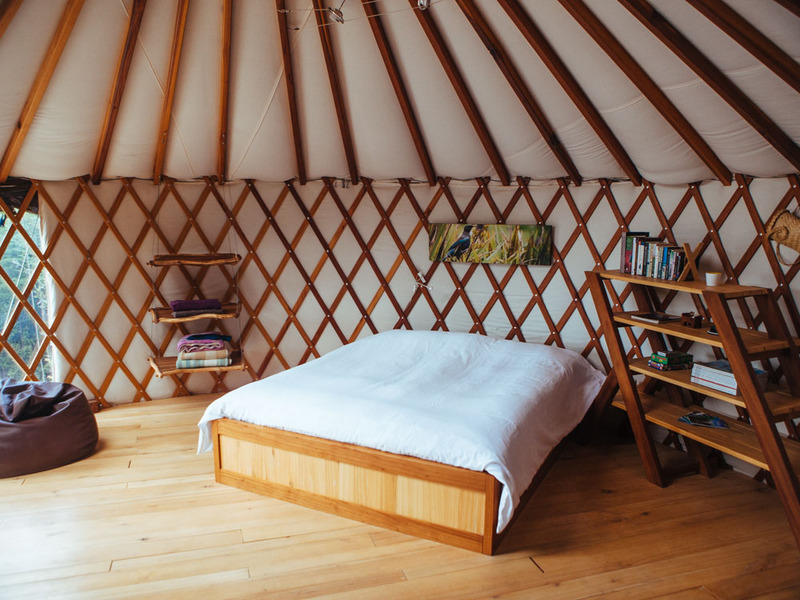 The yurt looks like the epitome of cozy, homey and inviting. I never had any interest in a trip like this until seeing you blog entry today. Now its on my bucket list. If you dont mind my asking, were these accommodations expensive?